The decision follows protest action in Queens on Friday by more than one hundred persons, claiming her music is homophobic. President of the Caribbean Alliance for Equality, Jason Latty-Travis, one of the organisers of the protest said anti gay lyrics have been influencing violence against homosexuals. According to Latty-Travis, while the justification of free speech or assertion of one’s religious belief, is often offered for speaking out against homosexuality, it must be understood that words and actions have consequences. 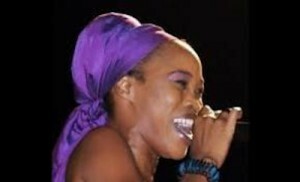 Queen Ifrica, whose real name is Ventraice Morgan, had another performance cancelled last August. That followed her statements glorifying heterosexual marriage, during a performance at the Independence Day Grand Gala in Kingston in 2012.